BuzzFeed's Jonah Peretti, Frank Ze and brands like Nestle and Clean & Clear talk about the secret sauce of creating social, shareable video. This year, the number of unique visitors to BuzzFeed Video might surpass that of BuzzFeed.com, said Jonah Peretti, founder and CEO of BuzzFeed, at the company’s Digital Content NewFronts presentation on Monday. “Video is the biggest shift in our business,” Peretti said at a packed SVA Theatre in New York, where BuzzFeed execs and brand partners shared insights into recent social media campaigns. 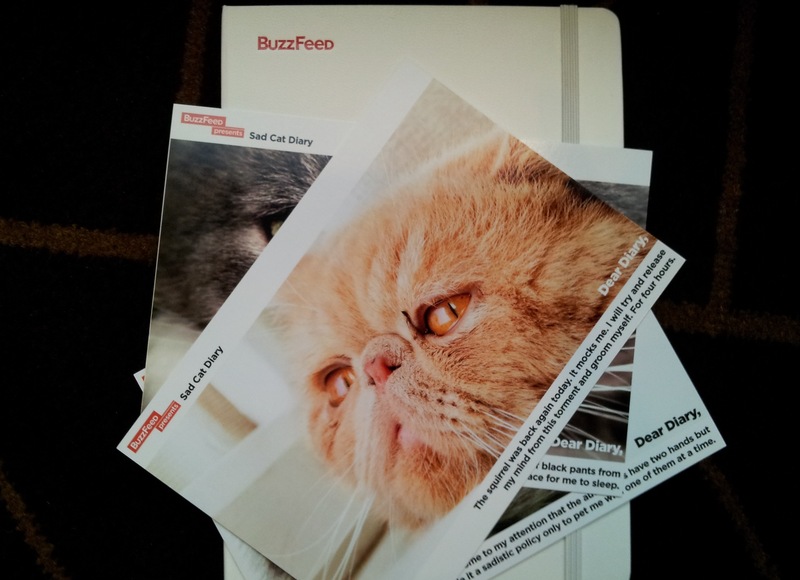 There is a formula to BuzzFeed’s genius — one that some members of the audience found themselves jotting down in their “Sad Cat Diary” distributed as SWAG at the event. A video worth spreading is going to say something about the viewer’s identity, it’s going to be an “emotional gift” for them or their friends, and it should provide some sort of information to support a view they already hold dear, said Ze Frank, EVP of video at BuzzFeed. Pet care company Nestlé Purina is taking some of these theories and applying them to their social media campaigns with BuzzFeed and beyond, said Rick Spiekermann, director of content, community management and partnerships at Nestlé Purina North America. Impressed by results of previous executions, Nestlé Purina is launching four more videos with BuzzFeed next month around the Beggin’, Tidy Cats and Friskies brands, he said. In the next two months, they also plan to double the size of The Feed, a social media-focused subsidiary agency launched last year, implementing some of the learnings of creating sharable content with BuzzFeed, he added. “Social metrics are great but we really are trying to increase sales and brand equity metrics are good proxies for that,” Spiekermann said, referring to equity results for Pro Plan. Social videos will only register with consumers if they come off as authentic — and that’s essential for a brand targeting teen girls like Clean & Clear. Instead of producing 1 to 3 pieces of advertising, the Johnson & Johnson beauty brand can create dozens of executions of branded content that celebrates confidence and speaks to who they are, explained Vivian Odior, associate brand manager Clean & Clear at Johnson & Johnson Consumer Products Company.